Takes 4 photos with instant preview and prints image in under 15 seconds . Transfer to USB/DVD for customer after the event. All equipment included and configured. 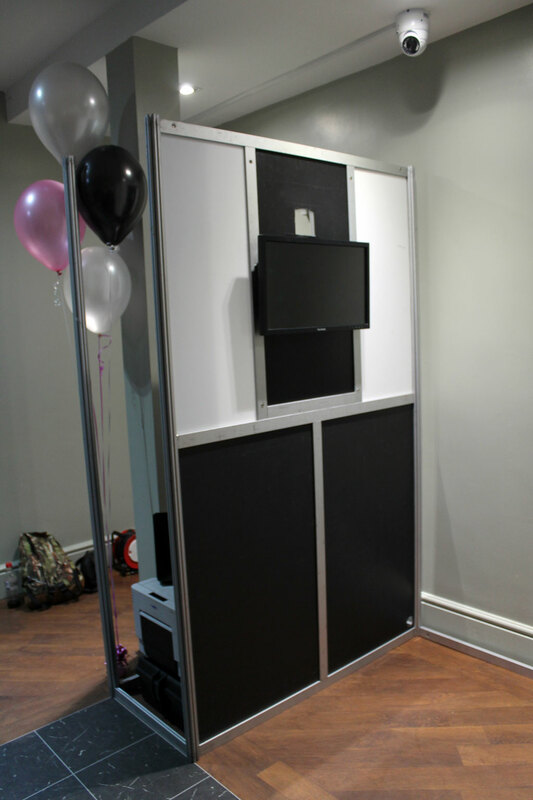 Our selfie pod package includes everything you need to begin offering an open air style photobooth service to your customers. The physical booth structure is made from individual extruded aluminium components, and a total of 10 black foamex panels forming the external walls. Different colour and design panels are available at extra charge. Add a green screen backdrop to convert into a green screen open air pod. The whole booth can be setup by 1 person in 30mins and fits in a hatchback type car or van. Easily fitting into any venue through standard door opening. The supplied electronics are all preconfigured and ready to be used. The customer facing screens can be branded with your own company logos at no extra charge. We can ship all over Australia and accept all major credit and debit cards. DNP RX-1 Dye Sub Printer with 1400 sheets of 4×6″ media. All necessary cabling, allen key, shrink wrap roller. 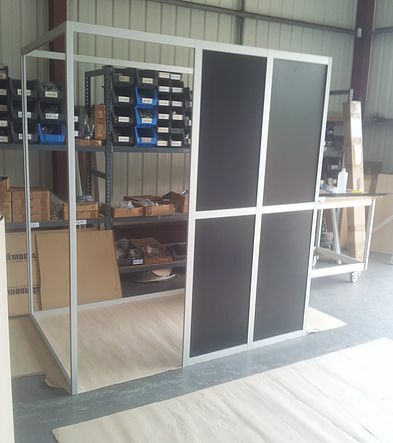 The physical booth structure and internal equipment is carried in stages to the place of hire. One person can easily do this. The physical booth is then assembled. All sections slot together and are fixed by using the supplied allen key. The walls fitted with black foamex panels. The internal equipment is setup and powered up. From the front of the open air selfie pod the customer sees the 22″ touchscreen display and simply touch the screen to start the process. After 4 pictures have been taken (you can modify the number of pictures) the images are combined and printed out in a preset layout which you can configure. By simply adding a selection of funny props & album this will enhance the guests experience. All the images are stored on the hard drive and can be copied to a USB and given to your client at the end of the event. We show you how you can also setup your own online gallery. Pictures shows booth during assembly where you can see the DNP printer location. The laptop comes pre installed with the breeze systems flipbook and photobooth software. This is a proven and reliable package. It is also easily customizable from the number of pictures to be taken, length of video clip, the screens that the user sees, and advanced features such as greenscreen. Relace DNP RX-1 with DNP DS40 for faster printing. 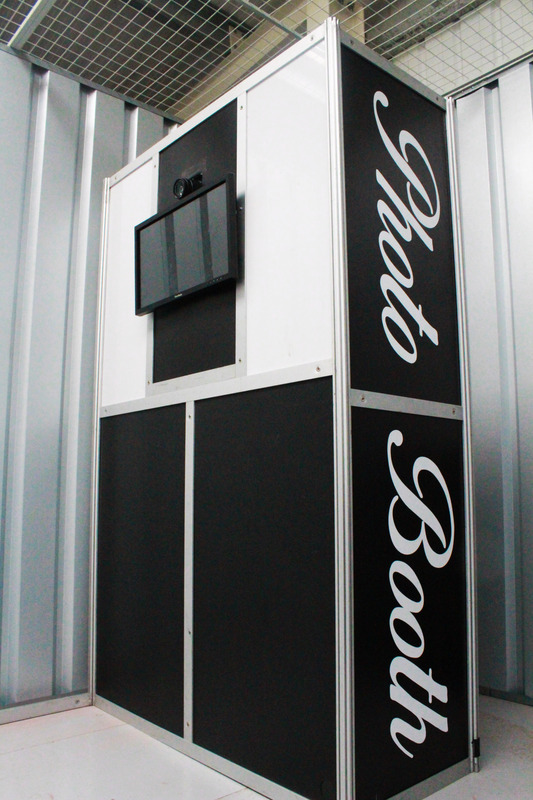 Upgrade to a videobooth – contact us for details. Upgrade to a karaokebooth – contact us for details. Please note aluminium framework may be slightly different style to that pictured. *Custom coloured/branded panels available at extra cost.